The mission of the Partnership for Safety program is to facilitate the identification and mitigation of hazards at the local level through the use of collaborative Local Safety Councils comprised of local bargaining unit representatives and management at facilities in the National Airspace System (NAS). A collaborative team that encourages employees to proactively engage in identifying and mitigating local safety concerns. backed by facility benchmarks, has never before been in the hands of the frontline employees. allow local safety councils to quickly identify, share, and solve issues that may not have come to light until a more serious incident occurred. between the front line employees, safety-critical data, and analytic capabilities. NATCA represents a variety of bargaining units, from Air Traffic Control to Engineers and Architects. These bargaining units consist of members split up over 10 different regions, nine of which correspond to the geographic boundaries set by the FAA and deal primarily with air traffic related personnel. The regions are broken up as such: Alaska, Central, Eastern, Great Lakes, New England, Northwest Mountain, Southern, Southwest, Western Pacific, and Region X. Region X, unlike the others, is nationwide in scope and encompasses the union's other represented bargaining units such as Engineers and Architects, Aerospace Medicine and more. The Federal Aviation Administration (FAA) is the national aviation authority of the United States. An agency of the United States Department of Transportation, it has authority to regulate and oversee all aspects of civil aviation in the U.S. The Federal Aviation Act of 1958 created the organization under the name "Federal Aviation Agency", and adopted its current name in 1966 when it became a part of the United States Department of Transportation. The National Airspace System (NAS) of the United State has become one of the most complex aviation systems in the world, averaging about 50,000 flights each day. The NAS is comprised of airspace; airports; aircraft; pilots; air navigation facilities; air traffic control (ATC) facilities; communication, surveillance, navigation, and supporting technologies and systems; operating rules, regulations, policies, and procedures; and the people who implement, sustain, or operate the system components. Together, these teams, technologies, and procedures work to provide safe and expeditious flight travel. Making safety data available to frontline personnel. Your PFS tools are specifically designed for safety professionals, such as yourselves. They make information easier to access and more facility-specific. As part of our overall safety goals, ATSAP has established a system for our Controllers and Other Employees to voluntarily identify and report safety and operational concerns. Fully Charged is a joint campaign sponsored by the FAA, NATCA, and PASS to promote fatigue education awareness by providing the workforce with tools to self-educate and mitigate fatigue hazards. 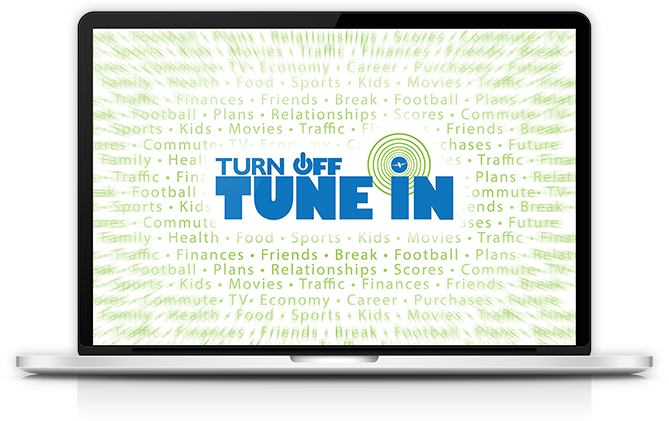 With all of the information we see every day, it’s easy to get distracted. No text message, email, website, or digital diversion is worth the risk of endangering the flying public or compromising the safety of the NAS. 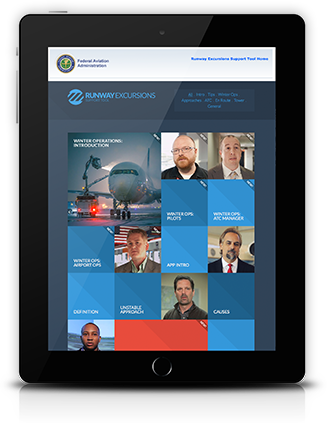 FAA and our industry partners are working hard to reduce the risk of runway excursions. Committed to maintaining workplaces where all employees are supportive of their peers, where all team members are treated with dignity and respect, that accept and are tolerant of differences, and that demonstrate empathy and compassion. What is Partnership for Safety? The mission is to facilitate the identification and mitigation of hazards at the local level through the use of collaborative Local Safety Councils. 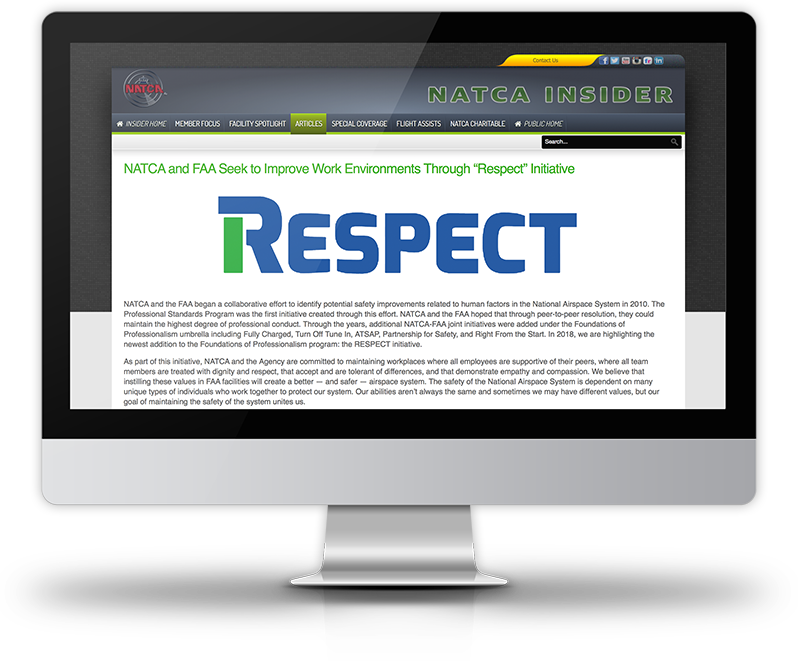 Partnership for Safety supports local collaborative efforts between FAA Management and NATCA to develop solutions to identified safety issues. The Local Safety Council's composition and processes are determined locally by the Air Traffic Manager and NATCA Facility Representative. What does a Local Safety Council do? Local Safety Councils collaboratively identify and mitigate local safety hazards. They will review safety issues and perform post occurrence analysis at the direction of the Air Traffic Manager and NATCA Facility Representative, to determine systemic causal factors and risk. Who comprises the Local Safety Council? as designated by the NATCA Facility Representative and the Air Traffic Manager. How many people can there be on an LSC? A minimum of one management representative and one union representative will make up the LSC with additional representatives being designated by the parties at the local level, through mutual agreement. LSCs should meet once per month or as mutually determined by the parties at the local level. What kinds of issues does a Local Safety Council handle? Local Safety Councils convene to explore and develop mitigations/propose solutions to locally identified operational safety concerns. What happens when an LSC recommends a change? Local Safety Council activity depends upon the scope of the change. Potentially an LSC could recommend changes in the Standard Operating Procedures (SOPs), Letters of Agreement (LOAs), or other operation procedures. The LSC may also recommend and sponsor a Safety Risk Management Panel (SRMP) in order to perform a formalized safety analysis of identified hazard(s). What tools are available to LSCs through the PFS website? The PFS Website is designed as an all in one destination for accessing and sharing information. The goal is to create a resource that supports the development and functionality of Local Safety Councils. 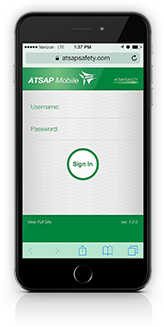 The PFS tools that can be accessed through the website are the Safety Data Portal and the ATC infoHUB. Who is allowed access to the PFS tools? The Safety Data Portal and the ATC infoHUB are restricted sites that can only be accessed by active members of the LSC. My Local Safety Council has already been established, why do I need to complete another form? Each new LSC member does go through the same coordination process. We utilize the information from the PFS Change Form to solicit concurrence from both the Air Traffic Manager and NATCA Facility Representative for each new member. These forms serve as our method of tracking, and using them is the most expedient way of adding new members. This automation also ensures that each of us, whom are jointly responsible for coordinating training logistics, receives and is working with, the same information. As personnel fluctuate, identifying the current Air Traffic Manager/NATCA Facility Representative ensures that we are soliciting concurrence from the correct individuals. I attended PFS LSC Training yesterday and have not yet received access to the PFS tools. Do I need to submit another request? The PFS Team is working to complete the validation process and establish your user accounts. A confirmation request has been sent to both the ATM and FACREP. Once they reply with their concurrence, we create account credentials for each active member within a few business days and update our records accordingly. I received a username and password for the Safety Data Portal. I am able to log in but cannot view any of the topics associated with my facility. We recommend using the Google Chrome browser for this site. Many of the dashboard features are not compatible with Internet Explorer. 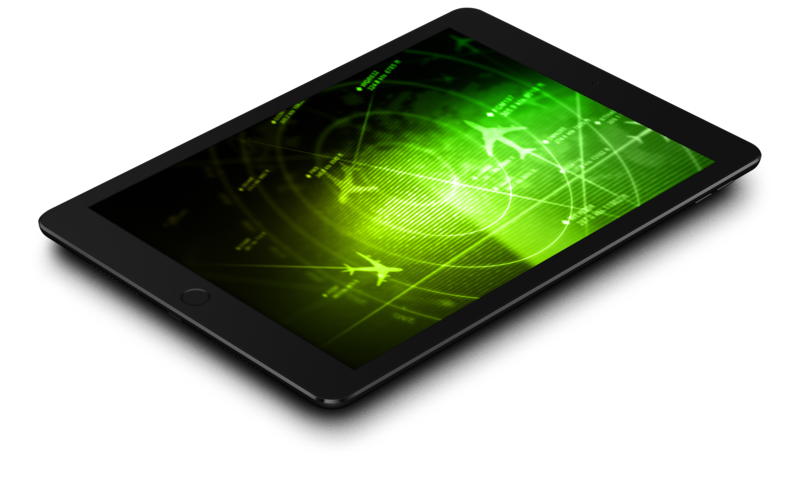 The ATC infoHUB is an application that has been designed specifically to enhance knowledge sharing across users of the system. It is intended to allow Local Safety Council users to input and share facility issues and solutions as well as lessons learned. Users have the ability to create 'Risk Tasks' and 'To Do' items that are limited to their facility, or published as deemed appropriate. The Safety Data Portal is a tool that has been designed to make accumulated safety data from all parts of the agency available to Local Safety Councils. This comprehensive resource is intended to offer timely, detailed, and accurate information for users to leverage in visualizing trends and predicting risk. Our principal purpose for collecting personal information online is to provide you with what you need and want, address security and virus concerns, and to ease the use of our website. We will only use your information for the purposes you intended, to address security or virus threats, or for the purposes required under the law. See "Choices on How We Use the Information You Provide" to learn more. Reply to your "feedback comments"
Throughout our website, we will let you know whether the information we ask you to provide is voluntary or required. By providing personally identifiable information, you grant us consent to use this information, but only for the primary reason you are giving it. We will ask you to grant us consent before using your voluntarily provided information for any secondary purposes, other than those required under the law. On some of our webpages we may offer interactive forms that let you voluntarily submit personal information (such as your email address, name, or organization). We only use your information for the expressed purposes for which it is intended. Your information is not made available to any third party. However, if you supply your name, email address, or other personal information when you submit a comment we may post that information along with your comment. A "cookie" is a small text file stored on your computer that makes it easy for you to move around a website without continually re-entering your name, password, preferences, for example. We only use "session" cookies on our website. This means we store the cookie on your computer only during your visit to our website. After you turn off your computer or stop using the Internet, the cookie disappears with your personal information. Tampering with this website is against the law. Depending on the offense, it is punishable under the Computer Fraud and Abuse Act of 1986 and the National Information Infrastructure Protection Act. The Privacy Act of 1974 protects the personal information the federal government keeps on you in systems of records (SOR) (information an agency controls recovered by name or other personal identifier). The Privacy Act regulates how the government can disclose, share, provide access to, and keep the personal information that it collects. The Privacy Act does not cover all information collected online. The effects on you if you do not provide any or all requested information.